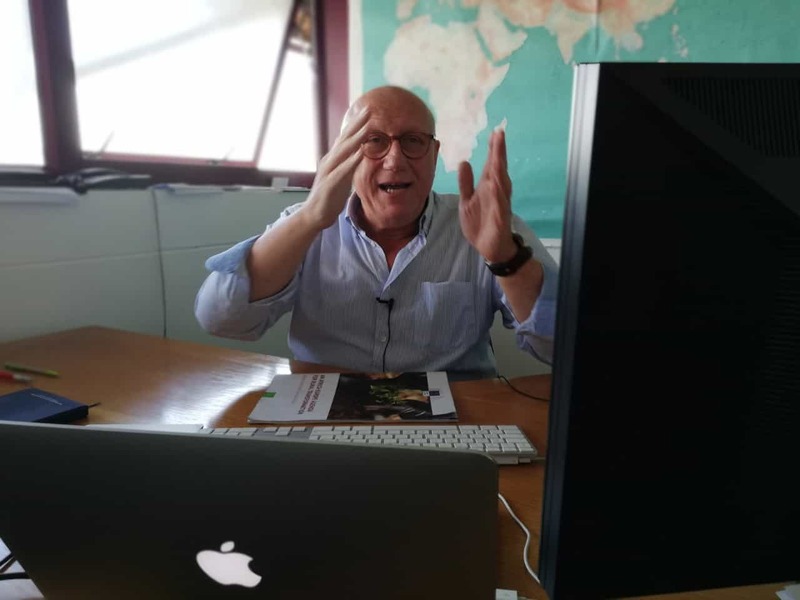 Dr Bruno Losch, co-director of GovInn and PI at the CoE-FS was part of an international task force commissioned by the European Commission to propose ways to turn around African rural economies. Face-to-face engagement between European and African farmers, improved infrastructure and services in rural areas, and access to private finance are among the recommendations proposed by a European Commission (EC) task force to transform Africa’s agri-food sector and stuttering rural economies. Dr Bruno Losch, a principal investigator within the South African Centre of Excellence in Food Security (CoE-FS), was among the team of 10 experts from Africa and Europe who were in May last year called on, in their personal capacities, by the EC to serve on its Task Force Rural Africa (TFRA). This group was tasked with the formidable mandate to come up with recommendations that could unlock the full potential of the African rural economy, reports Losch, who is also co-director of the Centre for the Study of Governance Innovation (GovInn) at the University of Pretoria – based at the University of the Western Cape – and lead political economist with the French Agricultural Research Centre for International Development (CIRAD). In early March 2019, the task force released its final report and recommendations. This followed quickly on a series of meetings in Belgium, Germany and Rwanda in 2018, and a presentation of its preliminary results at the Global Forum for Food and Agriculture (GFFA) in Berlin, Germany, in January this year. The report proposes four main areas for action: a territorial development strategy; a sustainable land and natural resources management framework; the sustainable transformation of African agriculture; and the development of the African food industry and markets. It also recommends more direct connections at the people, business and government levels. Among many others, these links would include advice, training and exchange between farmers, students and professional organisations; improved access to finance for SMMEs and more joint investments for African businesses; and capacity building to improve public services in rural areas and small towns. Development policy has traditionally taken a very sectoral approach, explains Losch. So there would be agriculture-specific policies, urban-specific policies, education-specific policies, and the like. In its work, the task force chose to take a different approach, however. In the next step of the process, the European Union and the African Union will over coming months take on the not-inconsequential task of looking how to translate the Report into action on the ground. This should benefit, says Losch, from the new momentum resulting from the New Africa-Europe Alliance for Sustainable Investments and Jobs, a collaboration launched by the European Commission in September 2018.